Anyone else love a day on the beach? These anchor accessories are the perfect match, pull your hair back, keep your drink cool, and rock some gorgeous studs. 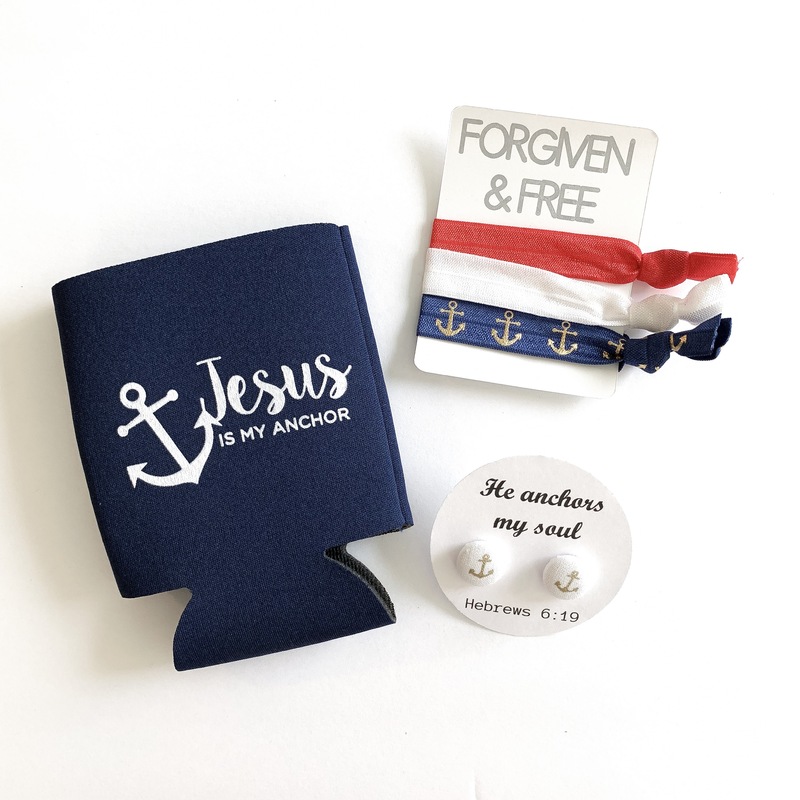 The Anchor set includes: Jesus is my Anchor can koozie, Forgiven and Free elastic hair tie set, He anchors my soul white and gold studs.